Horsefly History Tours operates in Historic Downtown Durango to provide a unique modern-day experience which brings history to life. Imagine, a wild frontier town riddled with cold-blooded murders, gunfights, and outlaws. Wealthy madams, with their ‘sporting girls’ brought in on the train, ran the many brothels in the red light districts. Gambling halls and seedy saloons outnumbered ‘pure and righteous’ businesses. That was Durango in the late 1800’s. Through thorough research involving multigenerational family interviews, input from local historians, and rare and out-of-print books, we have compiled a history of Durango that is often unheard of, accurate, and ready to be unearthed. Whether you seek a sampling of the dark events that occured on Main Avenue at the turn of the century, or you want every juicy detail about Durango’s saloon and western culture in the late 1800’s, Horsefly History has something for you. Murder & Mayhem outlines the history of a town brothel, and the largest gun duel that our town has ever seen. We also pay respect to a ‘sporting girl’ who took her life, and learn of two scorned-lovers that each commit murder from heartache. End this tour at Durango Craft Spirits to sample the drink that led alcohol production underground; moonshine. Coal Dust & Oysters unravels a tragic love story and takes you into two of our most prized historic hotels. In addition, you will stand in the very spot of Durango’s only legal hanging, where town-folk young and old gathered to watch. 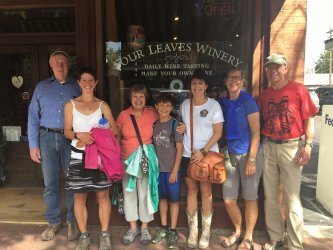 This tour ends at Downtown’s premiere wine bar: Four Leaves Winery. Refresh after the long walk with samples of fruit wines reminiscent of ones made by Durango’s Italian community back in the day. 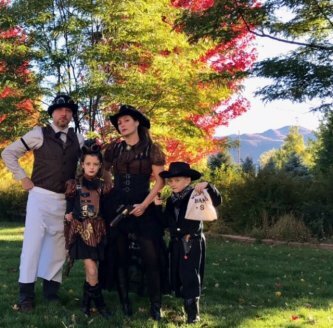 And if you’re in the mood to learn about the very active paranormal nightlife that Durango has to offer, come along on our two Fall ghost tours; “Haunted Carriage Ride” and “Underground”. These Halloween inspired tours will take you past truly haunted places where the souls who lived such treacherous lives can not rest. Enter a real underground tunnel where bootlegging, gambling, and other immoralities occurred (if you dare)! This tour is sure to leave you spooked. 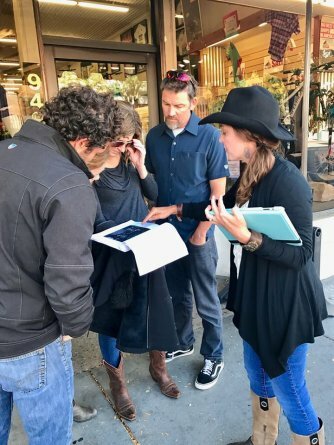 Horsefly History Tours are an interactive experience, meaning that we will be entering local businesses to learn more about their specific history and how it relates to Durango. Tours meet at different locations: Murder & Mayhem and Quick & Dirty meet at the Steaming Bean Coffee House (in the basement of the Irish Embassy building), Coal Dust & Oysters at the horse sculptures in front of the train station. Our ghost and Halloween inspired tours meet where announced on the website. Slap on your walking shoes and remember to check the forecast for Colorado’s classic changing weather. Get ready to experience the local, historic, and darker side of 1880-1920 Durango!